Complementary and alternative methods to reduce stress, balance the energy field and increase the overall well being. Come and make time for yourself. combines the Sound Instruments with a frequency assessment and muscle testing to balance the energy field and support an increased frequency in the body to restoring balance and flow. Welcome to the incredible world of Vibration and Sound. Turn up the Frequency is your go-to-page for Healing with Sound. Offering complementary and alternative methodes to reduce stress, balance the energy field and increase the overall wellbeing. You'll find information about Sound Massage, Singing Bowls, Energy Healing, Research, Techniques, Tools and more. Sound Massage, Bath, Meditation or Kinesiology. Find an offering that best suits your needs. Your guide through the fantastic exploration of sound, vibration, frequency and healing. 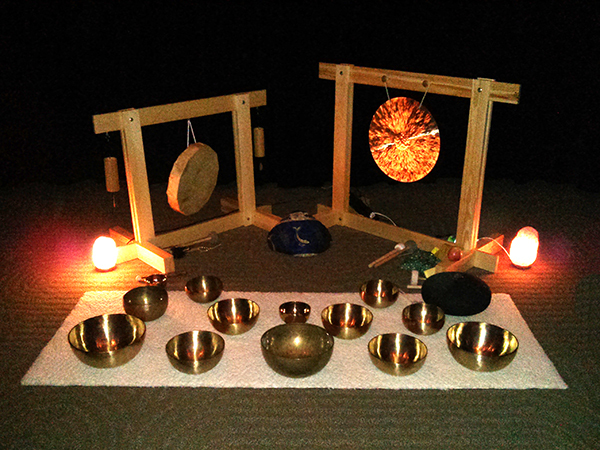 Learn more about the history of Singing Bowls and what they offer.